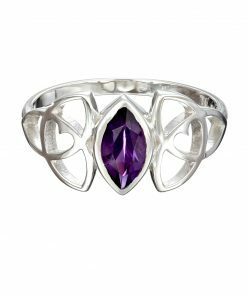 Sterling Silver Celtic Heart gemstone ring. 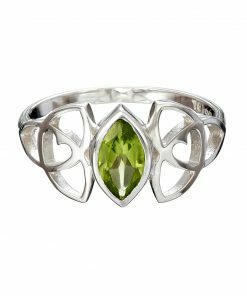 The design is a contemporary interpretation of a traditional Celtic Trinity Knot representing eternity or infinity and the addition of the heart symbolises “Eternal Love”, “Grá go deo in Irish”. 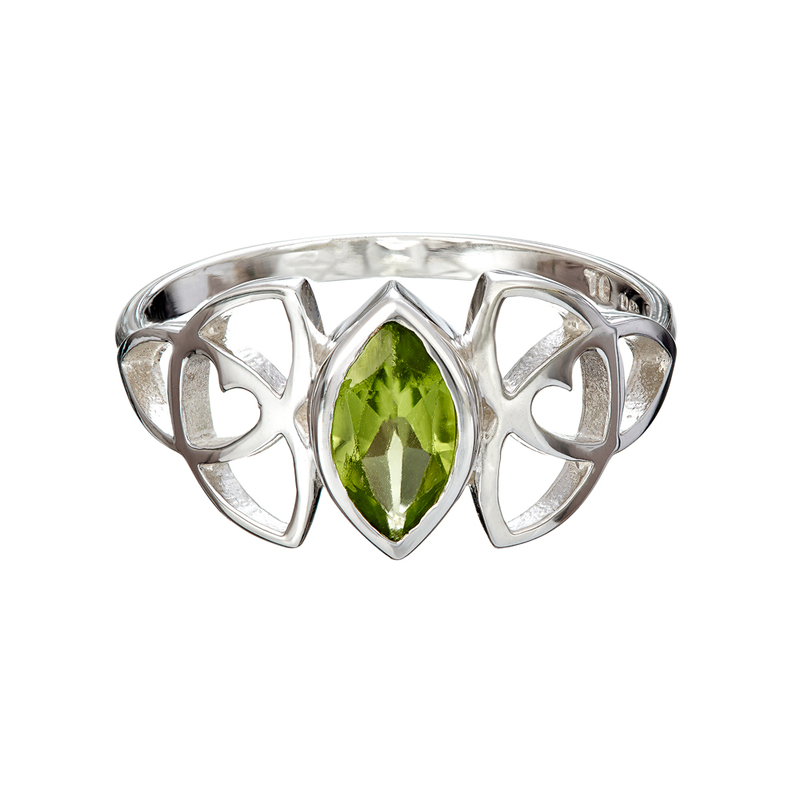 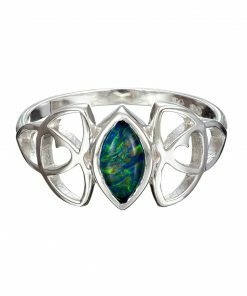 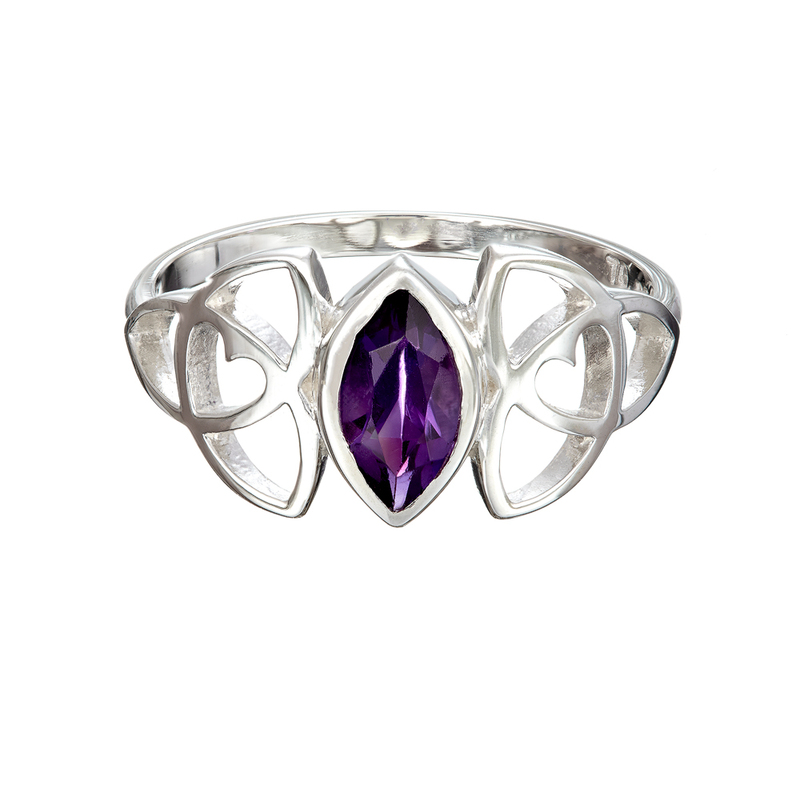 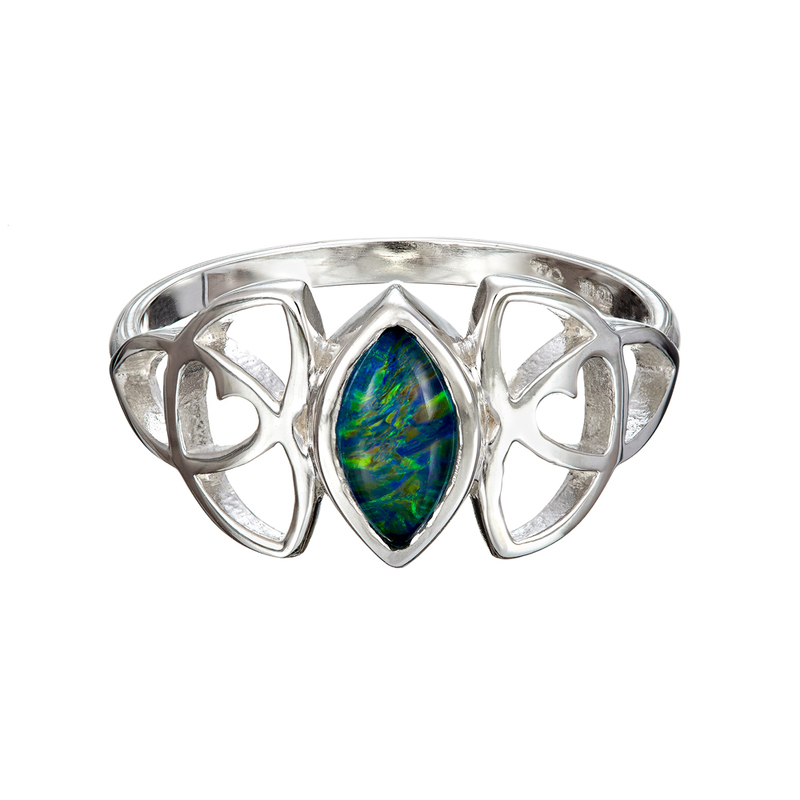 This Celtic Heart gemstone ring is handcrafted in Ireland and hallmarked in the Assay Office in Dublin Castle. 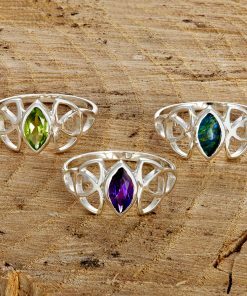 Gemstones include Peridot (green), dark amethyst and opal triplet. 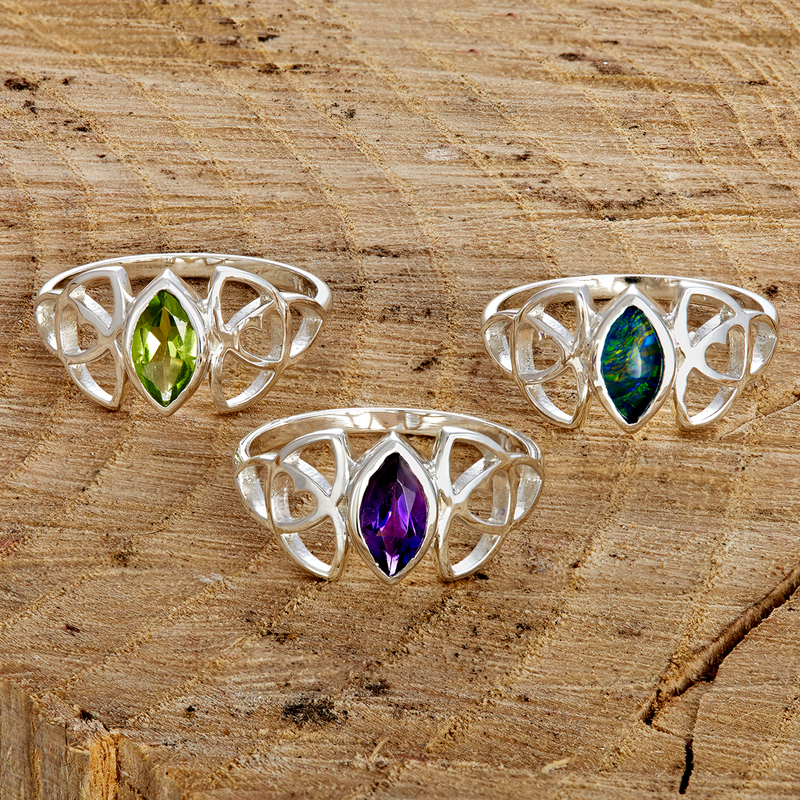 Other gemstones available by request.